As the colors of dawn break over the horizon, wouldn’t you enjoy rising early to greet a new day? Premier screen enclosures make this possible every morning. We can create the perfect setting for you to enjoy the serenity of the morning and plan your day. Adding a screen enclosure to your home is a lifestyle change. The newly added room becomes a focal place of your activity. The peace and quiet atmosphere we create provides you with a special place. We use only quality materials and of course expert workmanship. Each home is quite different, so we offer a large variety of options for you to consider. 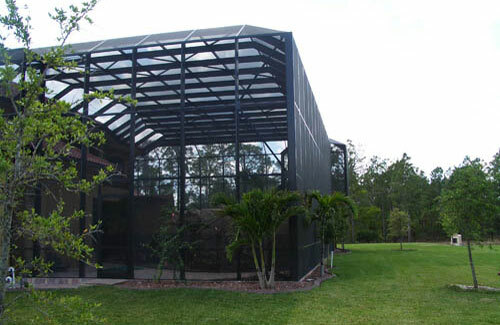 Screen enclosures add square footage and living space to your home. During the day you can invite neighbors or clients and have luncheons by your pool. When the evening ends you can have a tranquil dinner by sunset. We are owner operated and quality is our trademark. If you have questions about screen enclosures – what kind of screen to use or how to maintain the screen, we are there and can answer your questions. We’d love to be your contractor for your project!